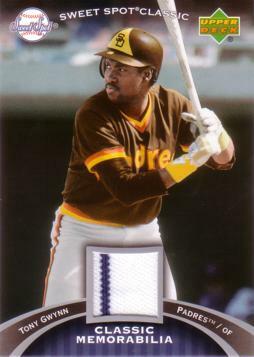 This unique baseball card has a piece of an authentic jersey that Tony Gwynn wore during an offical San Diego Padres Major League Baseball Game. 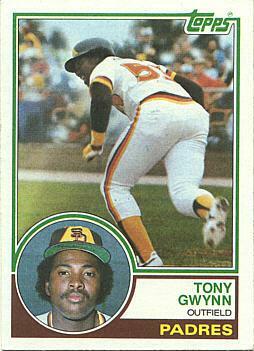 The Certificate of Authenticity on the back of this card reads: "You have received a Tony Gwynn Game-Used Baseball Card. 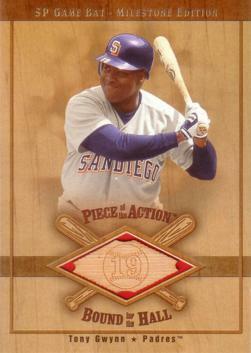 On the front of this card is a piece of memorabilia that has been certified to us as having been used in an official Major League Baseball Game. 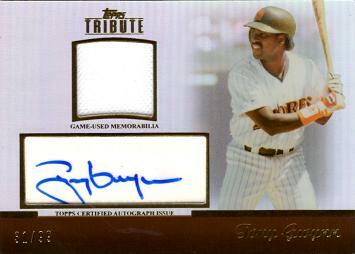 We hope you enjoy this piece of MLB history, as we continue to keep you as close as you can get!"